By Jessie Peitsch · March 30th, 2019 at 9:31 a.m. 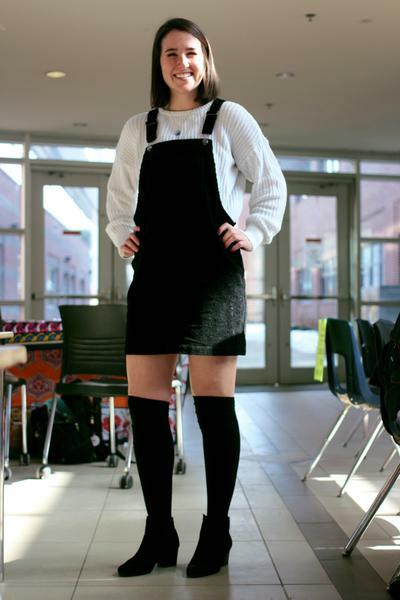 The weather is getting warmer which means UBCO is dressing for spring. Every morning since January, I have been peeking out my window for any signs of spring. The weather was pretty mild for the first part of the year, deceiving us all into thinking that we got off easy this winter. Then, the vortex hit. We’ve had a very slow recovery from those freezing temperatures. But at last, the sun is out! The winter snow is finally thawing, and we can all wear our mules again! 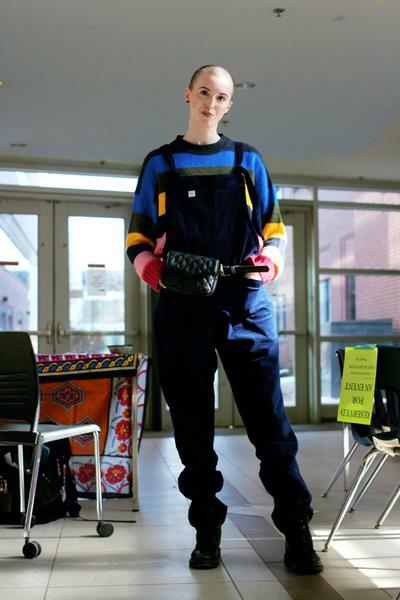 We went around campus to capture some of UBCO’s spring styles. We found that many people are still layering clothes, but these layers certainly aren’t as chunky as we’ve previously seen. People are trading out their heavy, down jackets for lighter bombers or blouses. Some are even trusting the spring weather by not wearing any jacket at all. Ricochet Designs is Addy Abdurahman’s own brand. Go check out her Instagram for more products like her necklace!